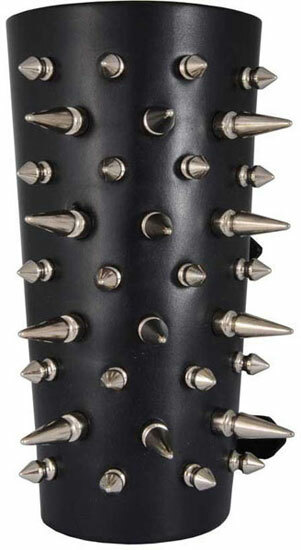 Black leather gauntlet with alternating 1 inch spikes and 1/2 inch spikes. Three adjustable straps. Made in the USA. 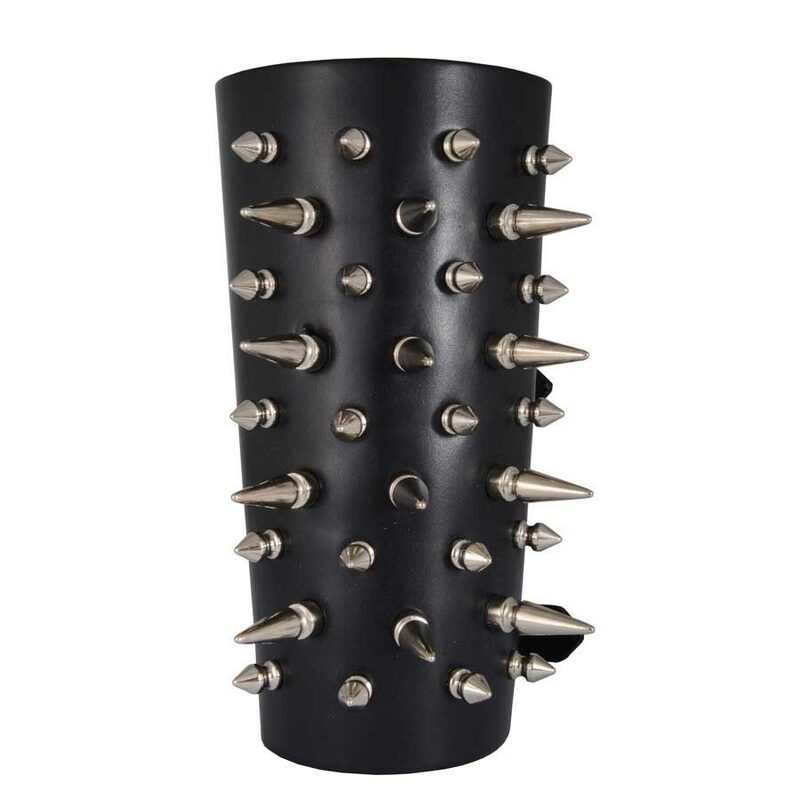 Measures approximately 8 inches high with 6 1/2 inches wide. Everything I have bought at Rivithead is great quality. This gauntlet is no exception. Thick leather and very well crafted. If you are looking for a well made gauntlet that will last you cant go wrong with this.